Bred by Mallerin, France, 1938 this rose is a spectacle to behold when it is one of the very first roses to herald the arrival of Spring – being a climbing rose makes it’s arrival so much more spectacular because it is often hard to see any foliage because the flowering is so intense. Guinee grows vigorously with strong, stiff canes which can be easily managed if you wish to espalier against a wall or frame. The foliage is leathery and dark green which aids in the disease resistant hardiness – especially if planted on a north-facing wall where it will get lots of heat and continue to flower throughout the season. The long stemmed roses which Guinee so graciously continues to deliver are suitable for the vase and the perfume is delightful when the blooms are warm. I live in the East of England, I planted a guinee climber about 7 years ago, it is slow growing, so don’t expect many blooms at first, my guinee rose faces north, south, and west. 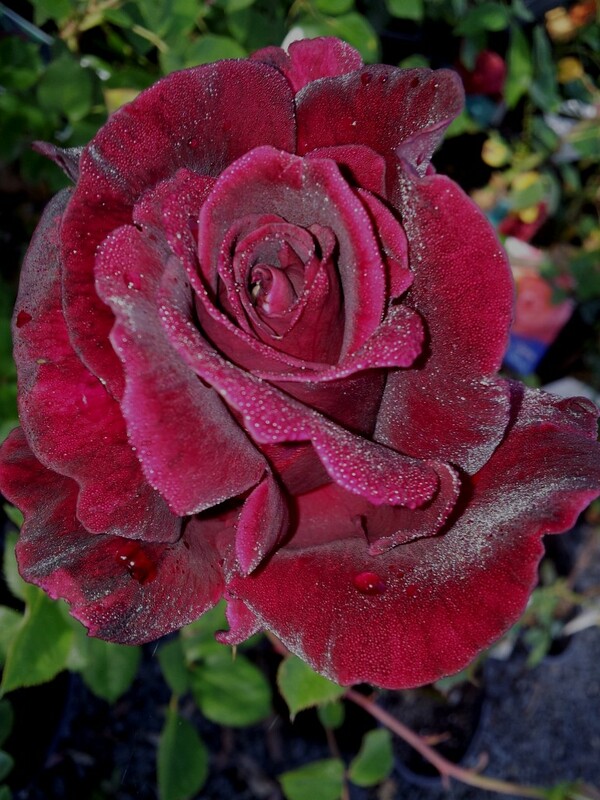 If you want a fabulous scent, rich velvety dark red, and a very disease resistant rose, this is definitely the one for you. I have No diseases with guinee. 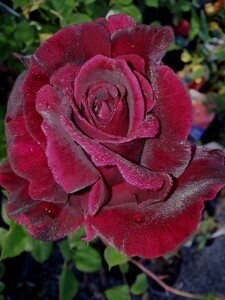 TOTALLY AGREE with your comments about this magnificent rose! Enjoy!!! I had mine for 16 years, flowers continuely. Had a well meaning couple who came around and cut it off at ground level. Cried when I saw it. Ne ho comprata una.Si è fatta altissima ma NON ha mai fatto un fiore! Non ne capisco il motivo giacchè il mio giardino è fioritissimo!